American musical theater and film composer, lyricist, arranger, singer, vocal coach, and playwright Hugh Martin (b. Birmingham, AL, 11 August 1914; d. Encinitas, CA, 11 March 2011) was best known for his score for the classic 1944 MGM musical Meet Me in St. Louis, and its three hit songs, “The Boy Next Door,” “The Trolley Song,” and “Have Yourself a Merry Little Christmas,” sung by Judy Garland. The last-named of these is considered one of the greatest traditional Christmas songs of all time. His “Pass That Peace Pipe” from the 1947 film Good News was nominated for an Academy Award® for Best Original Song, and on Broadway he received four Tony Award® nominations, three for his score to High Spirits (1964), and one for Meet Me in St. Louis, which was not adapted for the stage until 1989. By 1937 Hugh Martin was singing on Broadway in a Harold Arlen/E.Y. Harburg musical called Hooray for What! 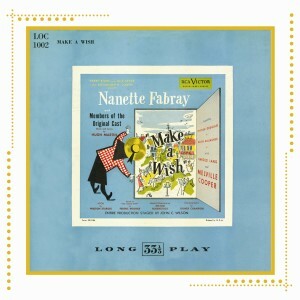 The orchestrations were by Don Walker, Kay Thompson was coaching the singers, and Martin himself was contributing to the effort as a vocal arranger. In the singing ensemble was a young songwriter named Ralph Blane with whom Martin soon set up an unusually loose but resilient collaboration: each of them would write, independently of one another, both words and music to a song, then get together to combine their efforts. They made a compact to share the credit for everything they produced. 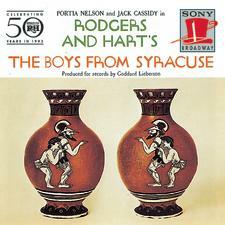 After another appearance in a non-musical play, Martin wrote a letter to Richard Rodgers discussing the finer points of arranging for Broadway, apparently convincing Rodgers of his credentials, enough so that the composer invited him to arrange “Sing for Your Supper” for The Boys from Syracuse (Rodgers & Hart, 1938). 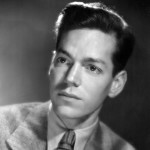 Martin received credit for vocal arrangements for four more Broadway shows (including Too Many Girls and Cole Porter’s Du Barry Was a Lady, both 1939) before appearing with his vocal quartet, “The Martins,” which included Blane, in Louisiana Purchase (1940) with Vera Zorina and Victor Moore. Best Foot Forward (1941, “Buckle Down, Winsocki”) was the first Broadway show with words and music entirely by Martin and Blane. Produced and directed by George Abbott and starring June Allyson, Tommy Dix, and Nancy Walker in her Broadway debut, it enjoyed a respectable 326 performances and was made into a movie starring Lucille Ball in 1943. This took Martin and Blane to Hollywood, where MGM gave them the opportunity for their greatest collaboration of all time: Meet Me in St. Louis, starring Judy Garland. Out of its three equally deserving hits, “The Trolley Song” (“Zing, zing, zing, went my heartstrings”) was nominated for an Academy Award® as the year’s Best Original Song. (When Martin published his autobiography, Hugh Martin: The Boy Next Door in 2010, he revealed that although he kept his promise to share credit with Blane, in fact he had written all three of the hit songs – including “The Boy Next Door” and “Have Yourself a Merry Little Christmas” – by himself. Blane could not riposte, having died in 1995.) Martin and Blane followed their success in 1945 with a score for Abbott and Costello in Hollywood, and with the song “Love” for Lena Horne to sing in the film Ziegfield Follies. Martin enlisted in the Army infantry near the end of World War II and was assigned to the European theater, where, as a new-minted star, he was found to be most useful to the Allied forces as an entertainer. 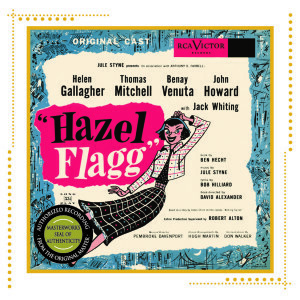 Returning to Hollywood after the war, he and Blane, with the collaboration of Roger Edens, turned out another musical film score for Good News (1947); one of the songs, “Pass That Peace Pipe,” won them a second Oscar® nomination. In 1947 Hugh Martin was back on Broadway; his arrangement with Ralph Blane, who remained in Hollywood, was apparently on hiatus. Aside from doing vocal arrangements for Barefoot Boy with Cheek (1947), a short-lived Heaven on Earth (1948), and As the Girls Go (1948), he was the sole composer and lyricist for Look, Ma, I’m Dancin’! (1948), conceived and choreographed by Jerome Robbins, directed by George Abbott, and starring Harold Lang and Nancy Walker. 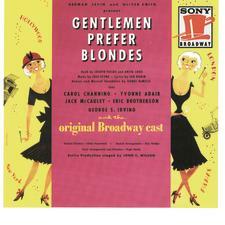 The vocal direction and arrangements for Jule Styne’s Gentlemen Prefer Blondes (1949), starring Carol Channing, were by Hugh Martin, as were the music and lyrics to Make a Wish (1951), which ran for 102 performances. He also contributed to Top Banana (1951), which won a Tony Award® for Phil Silvers, and did vocal arrangements for Hazel Flagg (1953). For eight months in 1951–52 Hugh Martin was Judy Garland’s piano accompanist in a vaudeville-style “two-a-day” show at the Palace in New York City. The two became fast friends and their performances remain legendary, even in Martin’s own estimation: “When I played for Judy, that’s the best thing I ever did.” He also served as Eddie Fisher’s accompanist at the Palladium in London. Martin again collaborated with Ralph Blane on Hollywood musicals in the ’50s, though not much of an impression was made by any of them: Athena (1954) starring Jane Powell, Debbie Reynolds, Vic Damone, and Steve Reeves; The Girl Rush (1955) starring Rosalind Russell, Fernando Lamas and Eddie Albert; and The Girl Most Likely (1958) starring Jane Powell. During this period the partners recorded an album of their best songs, Martin and Blane Sing Martin and Blane, with the Ralph Burns Orchestra. Alone, Martin wrote songs for a 1958 television musical on Hans Brinker, or the Silver Skates. In 1964 Martin worked with a new collaborator, Timothy Gray, writing the book, music, and lyrics to High Spirits, a new Broadway musical based on Noel Coward’s beloved play Blithe Spirit. 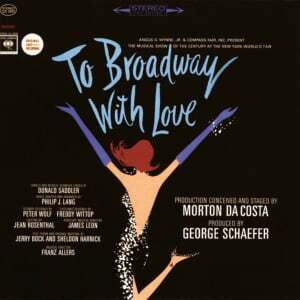 The show brought them three nominations for Tony Awards®: Best Musical, Best Author of a Musical, and Best Composer and Lyricist. Martin “retired” to Encinitas, California, in the early 1970s, but remained a presence on Broadway, making vocal arrangements for Lorelei (1974), Good News (1974), and Sugar Babies (1979) starring Mickey Rooney. His songs from Look, Ma, I’m Dancin’! 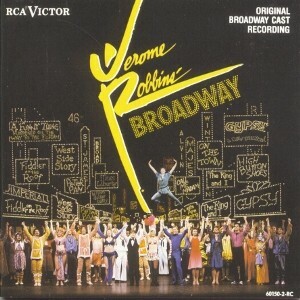 were revived in 1989 in Jerome Robbins’ Broadway, and a stage version of Meet Me in St. Louis arrived at long last in 1989, bringing Martin and Blane a nomination for a Tony Award®, Best Original Score. Hugh Martin became a Seventh-day Adventist in the mid-1970s and spent much of the following decade touring as accompanist to gospel vocalist Del Delker. He rewrote the lyrics to his most famous song in 2001 as “Have Yourself a Blessed Little Christmas,” and recorded it with Delker that same year. In its original form, “A Merry Little Christmas” has been recorded by more than five hundred artists, including Frank Sinatra, Tony Bennett, Judy Garland, Christina Aguilera, Garth Brooks, Ella Fitzgerald, Whitney Houston, The Jackson Five, Barry Manilow, Bette Midler, and Lou Rawls. In 1995 Martin accompanied vocalist Michael Feinstein (and also sang a duet) on a CD album, Michael Feinstein Sings The Hugh Martin Songbook. Then in 2006, an album collection, Hugh Sings Martin, of material from Martin’s career since 1940, most of it not originally intended for commercial release, rounded out a seven-volume Library of Congress series chronicling classic American songwriters. The tracks, taken from Martin’s own archives, include performances by The Martins (the vocal quartet of his youth), demo recordings, radio air checks, and a 2005 rendition of “Have Yourself a Merry Little Christmas” by Martin at the age of 90. A collection, The Songs of Hugh Martin, was published by Hal Leonard Publishing in 2008. He finally got around to finishing and publishing his memoirs in October 2010, Hugh Martin: The Boy Next Door. Martin was inducted into the Songwriters Hall of Fame in 1983, and was also a member of the Alabama Music Hall of Fame.